We’d love to see you this week at America’s Keswick. Dr. Charles Zimmerman is speaking Sunday night through Thursday night, and is speaking Monday – Thursday morning. You can also watch live at: www.americaskeswick.org. We’d love to see you. Check out our new website or call 800-453-7942 for more information. Spiritual discipline directs us to do activities that are conducive to developing personal godliness and Holiness. It assists us in modeling Jesus’ behavior – humbly serving others, which was an innate part of His nature, not just a duty. 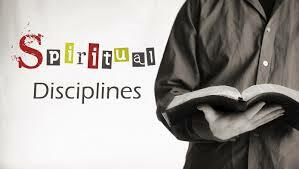 A few examples of spiritual discipline are prayer, meditation, devotional time, etc. Lately, I’ve been enjoying alone time, thanking Him and praising Him for who he is and what he has done. The Essential Question: Why is Spiritual Discipline so important? One thing of which we can be certain, life will always have complications. We will always be presented with different obstacles and issues, but spiritual discipline will help us navigate through those various seasons. In addition, the disciplines help us make better choices in this world of confusion. They provide us tools and wisdom to be proactive in our decision-making. Amen Juan… We undergo discipline that He would free us even more to live in Him! Thanks for your example in my life brother.